Get your refund fast when you file through NETFILE. Ready to try TurboTax Online? Start for Free with TurboTax Online Looking for Download? 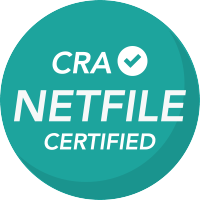 The CRA limits all NETFILE-certified tax preparation software products in Canada to a maximum of 20 returns filed per computer or online account, regardless of your income level. Preparing more than 20 returns? File with EFILE. For personal income tax returns, file your return before midnight on April 30, 2019. For self-employed tax returns, you have until June 17, 2019; however, any taxes owed should be paid before April 30, 2019 after which interest will be applied to the balance by the CRA.